We have the world at our fingertips now. In the palm of my hand I can explore cyberspace with more technology than man took to the moon. Not so long ago a child would be happy with a "breaker" and a bag full of marbles. 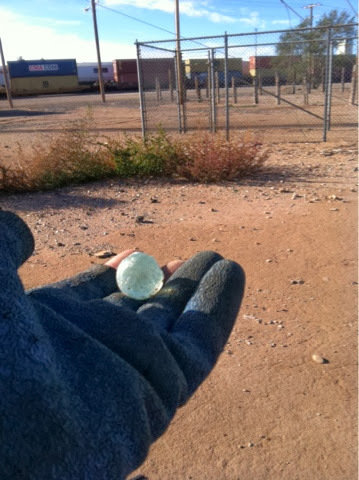 Walking out of Clovis, by the train yard, I found a glittering prize washed to the surface of the sand. 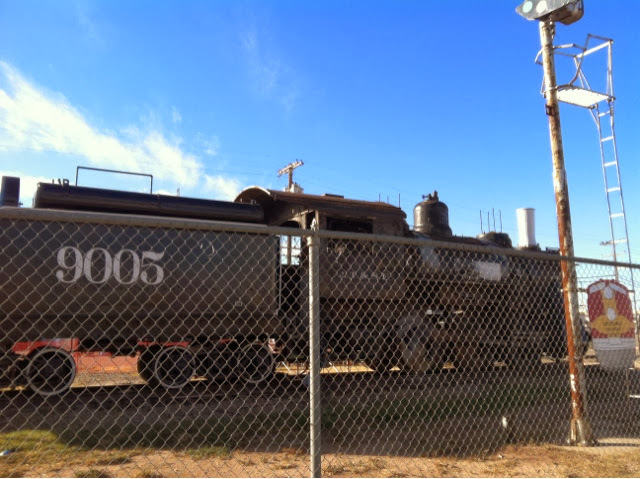 I imagined the hours this ball of glass helped keep a circle of boys entertained before they retired it to the rail and the westbound train.